A bill in the lame duck session of the Legislature would assign letter grades to schools throughout Michigan. Some school groups oppose it; others support. But there’s no consensus on what the measure would do. A bill working its way through the Legislature would give grades to schools like students get on their report cards. Beyond bragging rights for an A or the shame of getting an F, though, there’s not much agreement about what the bill would do. Ask its sponsor, Rep. Tim Kelly, R-Saginaw, and House Bill 5526 is just a way to help parents understand how their kids’ schools are performing. The different views on the measure – some education groups support it and some don’t – come at least in part from the things that aren’t spelled out in the bill. Would bad grades close schools? Would good ones give schools extra money? That’s not in the bill and would be up to a commission, the members of which aren’t picked. A poor-performing school might be penalized or might get more financial support – that’ll be up to the commission members, the majority of whom will be chosen by politicians. And, most importantly, would such a system help kids learn? Based on states that have implemented similar letter-grade policies in the past, that’s not clear, either. The bill is expected to come up to a vote in the House in the coming days, according to Kelly. If it passes, it will be forwarded to the Senate for consideration. Michigan’s schools are struggling. By most measures, Michigan ranks in the bottom third of states in educational performance. Improving schools is key to improving the Michigan economy, and Gov.-elect Gretchen Whitmer made education one of the focal points of her campaign. Numerous groups have published reports with plans to fix Michigan schools. While grading schools like they are fifth-graders isn’t a key recommendation in those reports, such a policy also isn’t out of the mainstream – at least 16 states have experimented with such a system. We read 12 reports on fixing Michigan schools. Here are 4 things we learned. What is the A-to-F bill? So there would be an overall A-to-F grade for every school, right? Nope. The original plan was to have an overall grade, like 15 other states do. That was scrapped, though, as a compromise to win support for the bill, Kelly said. Instead, in the current version of the bill, each school would get a letter grade in each of six letter performance components. That raises the specter of families, instead of gaining clarity on the quality of their children’s schools, discovering their school received an A, B, C, D and F.
“There was limited (desire) for a summative grade,” Kelly said. Is there any accountability connected to the A-to-F grades? The repercussions for bad grades or rewards for good grades aren’t spelled out in the bill. Instead, the bill calls for the creation of a 13-person commission that would both develop the algorithms used to assign grades, and accountability measures for the lowest-performing schools, which the bill specifies are schools in the bottom 5 percent in the state. That leaves a lot of discretion to the commission members. Who would serve on this commission? The Senate majority leader and the speaker of the House both pick one commissioner; the state school superintendent serves on the commission, and he or she picks three more members. The other seven commissioners are chosen by the governor. All would serve four-year terms. Would lame duck Republican Gov. Rick Snyder rush through appointments before Democrat Gov.-elect Whitmer takes office Jan. 1 if the bill passes in lame duck session? Kelly said he anticipates Whitmer would appoint the commissioners. “There’s no point in me packing the commission before I leave,” said Kelly, who is leaving the Legislature after the lame ducks session because of term limits. Michelle Grinnell, director of communications for Whitmer’s transition team did not respond to a request for comment. Florida, under then-Gov. Jeb Bush, was the first state to implement an A-to-F grade system for schools in the late 1990s. There, top-graded schools get bonuses that can be used any way the schools want. Sometimes, the schools divvy up the bonuses to teachers. Students attending F-rated schools could get vouchers to attend private schools. Educational performance in Florida shot up in the past decade, though the A-to-F rating system was just one of many reforms implemented in the state while Bush was governor. 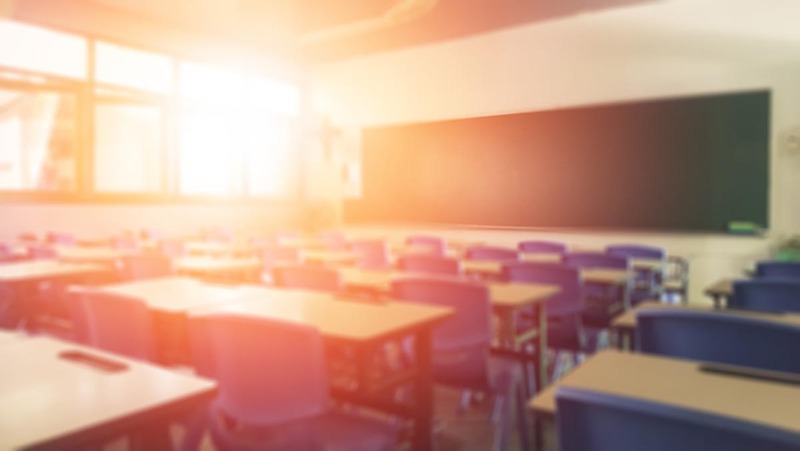 Fifteen other states have implemented A-to-F grades for schools, some that have better educational outcomes than Michigan and some worse, as measured by the National Assessment of Educational Progress. There’s been little research studying the impact of school letter grades on learning. The State Board of Education opposes the legislation and testified against it this year in the House Education Reform Committee. “All this does is create more chaos and dysfunction in the school system,” said Ulbrich, the board co-president. The Grand Rapids Chamber of Commerce supports the measure. Bill sponsor Kelly said the legislation isn’t about punishing schools or even shaming them, but about helping parents compare schools in a simple way. “It moves us closer to transparency,” Kelly said. What a ridiculous headline. Of course we know if it will help. It will. It's helped in every city and every state that has implemented A-F letter grades for schools. Ron, you rightly point out that schools greatly improved in Florida after implementing A-F, but then you refuse to acknowledge that A-F played any part in the improvement? What kind of reporting is THAT? Michigan's school performance is already among the worst in the country. We've seen A-F work in EVERY city and state that have implemented it. Don't you think it's worth a try here? What do we have to lose? Kristin, what study or studies are you citing that show A-to-F school ranking systems have improved school learning in every city and state it's been used? I'm not aware of that. Regarding your question about Florida: I cite that test scores improved after the A-to-F system was implemented, but I also cite that many other reforms were put into place around the same time. I've been to Florida and spoken to educators and to those who were involved in Florida education reform, and all say it's impossible to disentangle the impact of one reform from others. It took me about 20 seconds of Googling to find this. You’re a very good reporter, so I have to believe that you intentionally chose to omit this report and others like it from your story because it didn’t fit the narrative. I find it even more curious that you didn’t choose to speak with Joshua Cowen for your story, since we have one of the leading experts on this topic right in our own state. For you to say that "nobody knows" is A-F systems work is just wrong. Joshua Cowen knows. You just chose not to speak with him. Kristin, it took you 20 seconds to find this abstract through Google, but I don't think you took 10 seconds to read the article. Yes, Winters and Cowen's study indicates that a school getting an F grade (not a low grade, as you say) did improve their ELA scores and math scores over the next two years, especially among the lowest-performing students. However, there are two other important findings that should give us pause. First of all, there were no positive impacts associated with receiving any other grade than F. In fact, performance in schools that received a D went down in the following years. Second, the specific accountability program that the A-F is part of gives bonus points for raising the achievement of the lowest-performing students, which is a great incentive, but which is not in every A-F program's setup. I think it's great that the lowest-performing 3.5% of NY City schools raised achievement scores for those students. However, considering this did not have any appreciable effect on the other 96.5% of schools, and considering the improvement could be linked to other aspects of the accountability system, I don't think we should leap right in and get rid of the current dashboard, which gives more nuanced information regarding the achievement level and the environment of our Michigan schools. And I still don't see how the Cowen article shows that "every city and every state" that has adopted A-F grading has seen it "work." We should also grade legislators and policy makers. We already grade or score our politicians! If they score 50%+ they pass (to the next term) If 50%- they fail, (and are kicked out). In the real world people are graded through out their lives in scores of ways. Just seems that the education lobby reading Bridge has a problem with any of this being applied to them. I would much rather see money and effort go into things like lower class sizes and feeding all Michigan school children. Then see how absenteeism is affected, how grades rise, and teacher satisfaction increases. Listen to teachers for the solutions. Don't just put in another round of paperwork on them to attribute some grade to a school. Don't tell me which ones are failing--tell me how you are going to help ALL Michigan schools do better!